Salon and Spa Galleria Arlington is here to help you start your business off great. By renting a suite from us we will show you how to get your business started off without a glitch and make your business boom. All of our suites and spa rooms come with a thirty-two-inch flat screen TV equipped with DirecTV for you to enjoy in your free time or for you to entertain your clients with as you are servicing them. Take a look at all the suites we have to offer at Salon and Spa Galleria Fort Worth, Salon and Spa Galleria Grapevine, Salon and Spa Galleria Mansfield and start up your dream business today. 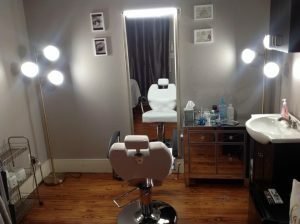 If you are an esthetician looking for spa rooms for rent, we will show you what we have to offer and we have great move-in special going on at all of our locations right now. We have many locations to better serve you as a tenant looking to lease with us. We give you twenty-four-hour access to the salon and spa for your convenience on that late night or early mornings. We also have twenty-four-hour surveillance for you and your client’s safety if you ever do stay late. You do not have to worry about finishing your clients before the salon closes. All suites are customizable to you so feel free to paint and decorate how you like. Express yourself through your suites. Service your clients in a suite that is your very own business and in the privacy of your own room. You are able to have your own business with our business you just don’t have all the hassle of all the overhead of having your own building til you are ready will have you covered. So come check us out and see what you think. Take a look at our spa rooms for rent Arlington, spa rooms for rent Grapevine and spa rooms for rent Fort Worth and see how easy it would be to start working for yourself and making your own money. We have put 6 locations around the DFW area to better help you and your clients travel needs. We also have 3 up and coming locations that we would love for you to look at as well. If you are looking for spa Galleria Keller, Spa Galleria Irving or Spa Galleria Southlake, make the short drive over to our Grapevine location and see what we can offer you and your future business. Our number one goal here at Salon and Spa Galleria is to ensure the 100 percent satisfaction of all-out tenants and their clients while they call us their business home. Don’t wait a minute longer give us a call today and see what all we offer you when you sign on with us and make all of your dreams come true. We look forward to hearing from you and you bring your talents to better our salon.